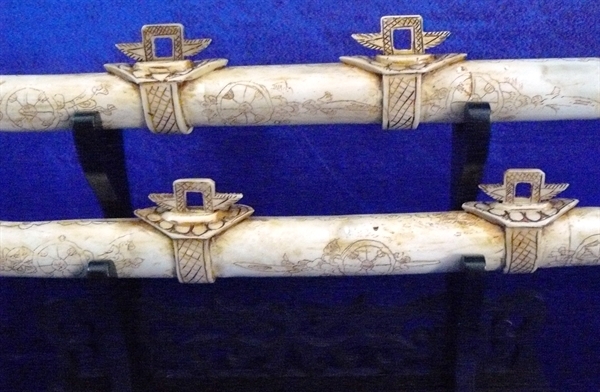 Size: Wide 36", Deep 5", High 12"
This beautiful tusk is all hand carved from natural water buffalo bones. There are 2 bone swords, 36" and 28". Both come with bone blades and sitting on an elegant base.